August 18, 2017 – Toronto, Ontario-The Royal Horse Show, held annually as part of The Royal Agricultural Winter Fair in downtown Toronto, Canada, has been invited to host a Longines FEI World Cup™ Jumping North American League event for 2018, 2019 and 2020. Of the 14 North American League qualifying events that will make up the next three-year cycle, the Royal Horse Show is one of only two Canadian venues to be included. 2016 Olympic Champions Nick Skelton of Great Britain and Big Star competing in the Longines FEI World Cup™ Jumping Toronto at the 2016 Royal Horse Show in Toronto, Canada. The Royal Horse Show has been selected as one of only two Canadian venues for the 2018, 2019 and 2020 Longines FEI World Cup™ Jumping North American League. Having joined the Longines FEI World Cup™ Jumping North American League in 2015, the Royal Horse Show has excelled in attracting top show jumping talent from around the world, making it one of the most coveted events for top-ranked athletes. The Longines FEI World Cup™ Jumping Toronto has been won in both 2015 and 2016 by Royal Horse Show fan-favourite and two-time U.S. Olympic team gold medalist, McLain Ward, who went on to capture the 2017 Longines FEI World Cup™ Jumping Final in Omaha, USA. The Royal Horse Shows hosts more than 1,000 competitors and offers more than $950,000 in prize money over the course of its ten-day run. 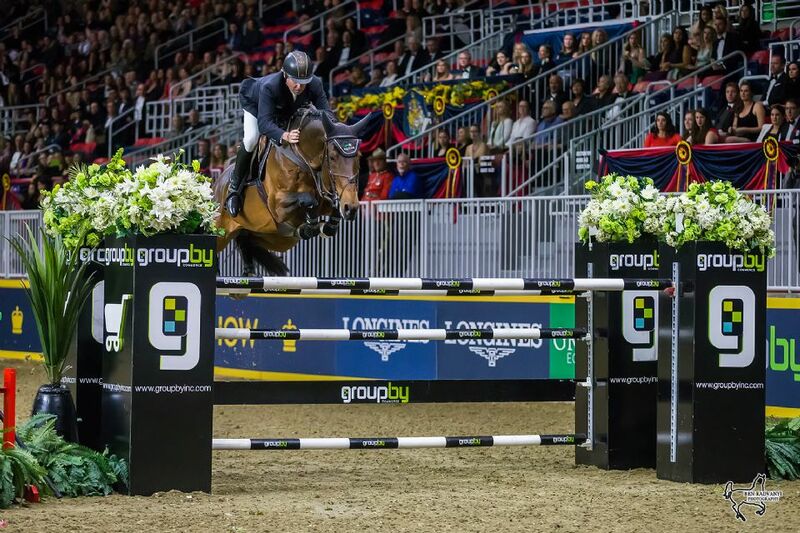 International show jumping action is highlighted by the $150,000 Longines FEI World Cup™ Jumping Toronto, traditionally held on Wednesday evening. This year’s competition will be a qualifying event for the 2018 Longines FEI World Cup™ Jumping Final in Paris, France, next April. When the new three-year cycle begins, the 2018 Royal Horse Show, scheduled for November 2-11, will be a qualifier for the 2019 Longines FEI World Cup™ Jumping Final in Gothenburg, Sweden, while the 2019 Royal Horse Show, held November 1-10, will give competitors opportunities to earn points for the 2020 Longines FEI World Cup™ Jumping Final in Las Vegas, NV. The host city for the 2021 Longines FEI World Cup™ Jumping Final has not yet been announced. In addition to international show jumping competition, the Royal Horse Show is a true celebration of horse sport, featuring the $125,000 Canadian Show Jumping Championships, which take the stage during opening weekend. The $20,000 Horseware Indoor Eventing Challenge and the $20,000 Royal Invitational Dressage Cup, presented by Butternut Ridge, also highlight the multi-discipline schedule each year.